Working off a laptop gives you the freedom to work from anywhere, as long as you can find an outlet. If you find yourself in a spot with no plugins, you’ll have to survive off whatever your battery has left in the tank. 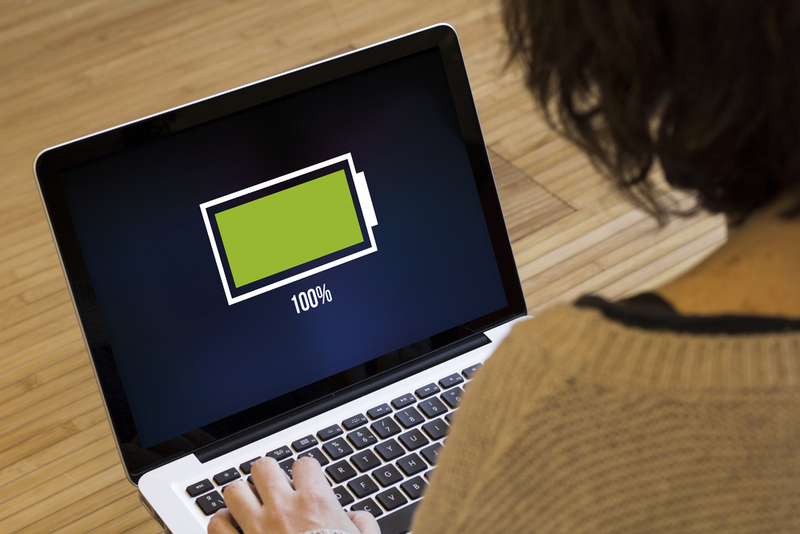 Next time you find yourself in this position, do this to squeeze the most juice out of your laptop’s battery. Power Saving Mode– Most laptops will come with a battery saving option in the settings menu that is designed to conserve your battery life. Hit the Lights– While you’re in the settings menu, turn off the backlight on your keyboard. Unless you’re working in a dark room, you don’t need your keyboard to light up and these lights can drain your battery fast. Close Applications– Having multiple applications and programs running can zap the life out of your battery. If you’re not using it, make sure it’s not running. A Little TLC- Laptops with removable batteries have the potential for damaged or dirty battery contacts, which can disrupt the flow of power. Make sure battery contacts are clean and in good condition.